Students and tutors at the East Palo Alto Library Quest Learning Center. 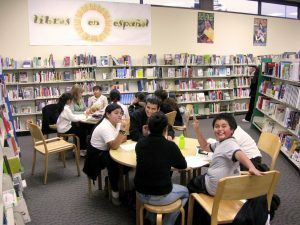 The East Palo Alto Library Quest Learning Center is a free service of the San Mateo County Libraries for youth in K – 12th. 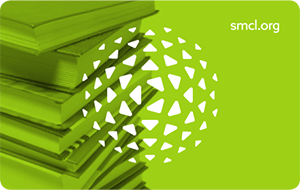 Our mission is to improve students’ literacy skills to help them become part of a literate, confident, and creative community of life-long learners. We offer literacy enrichment, homework help, and mentoring in a safe after school environment with student-to-tutor ratios of 5:1 or better. Must be a 2nd – 5th grade student enrolled in the Ravenswood City School Districtopens a new window or Tinsley Programopens a new window. Must attend the 2 days per week registered for (either Monday & Wednesday or Tuesday & Thursday). Quest will be open one Friday per month for a mandatory Quest event for students and their parents. Parent/guardian must pick up their child and sign them out every day between 5:45 pm – 6:00 pm. They can authorize other adults to do this on the application. Parent/guardian must attend monthly family nights and parent workshops. If they miss 3 family nights or parent workshops the space will be given to another student. Program Runs from end of September to end of May. For additional information contact Emmanuel Landa, Expanded Learning Coordinator, at (650) 321-7712.